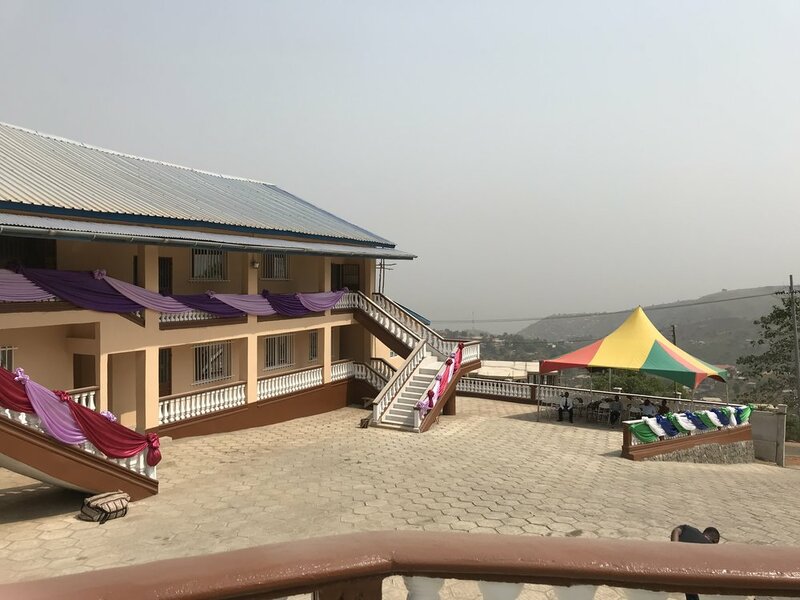 We launched the United Methodist University of Sierra Leone (UMUSL) and the Bishop Wenner School of Theology on Saturday. It was a perfect scene up on Leicester Peak, the highest peak in Freetown. Multiple crews of people have been busy getting ready for the ceremony for months now. Painters, construction workers, decorators, caterers. The whole gamut. Even two months ago, on the second week I was here, the bishop had a builder in the downtown "UMC House" (conference office) discussing plans for the amphitheater. 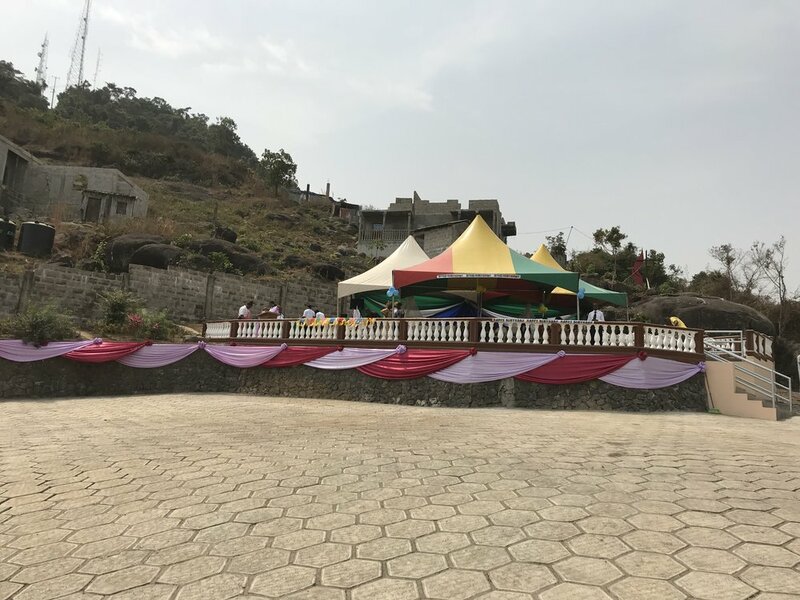 That amphitheater was finished and decorated in full color for the several hundred people present with us on Saturday. 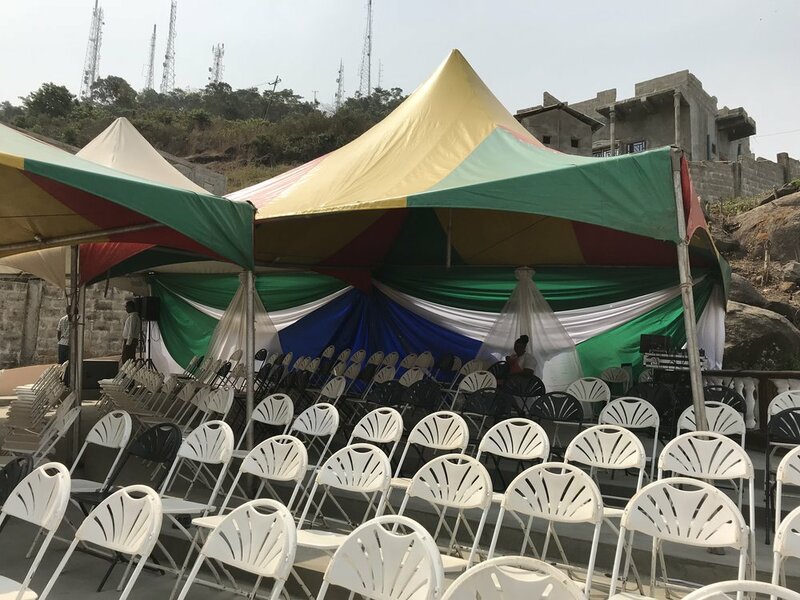 A new friend of mine who works in education as a consultant said she’d never seen an amphitheater like that in all of Sierra Leone. All of this was to, from the very launching, live into one of the University’s core values of excellence in all that we do. I saw the bishop a month or so ago point out the dust on our conference room table and say, “We should have the cleanest university in all of Sierra Leone.” Dust during the Harmattan is just a fact of life here. I regularly have a layer of orange on my furniture just from one open window. But for the university it was unacceptable. The bishop often says, “I am allergic to mediocrity.” And even more for the University. It may seem nitpicky but this is one more way that our bishop communicates another value: the details matter. It was a pretty awesome event on Saturday. Truthfully I’m having a hard time putting it into words. A post about UMUSL has been a long time coming, but I’ve been putting it off because the vision is just so big and wide that I knew it would take some time and multiple posts to communicate it. Then the bishop gave his address on Saturday, and it was so clear and so powerful that I don’t think I can write it any better. So this is what I’m going to do. I’m going to dedicate the week to posts from the event. Below I will post photographs that I took of the event with a little explanation. Tomorrow I’ll share the bishop’s address in writing on this blog. Read it and you will catch the fire. Our international guest's arrival. They wanted to take photos in front of the many international flags. The cross and flame up on the highest hill. 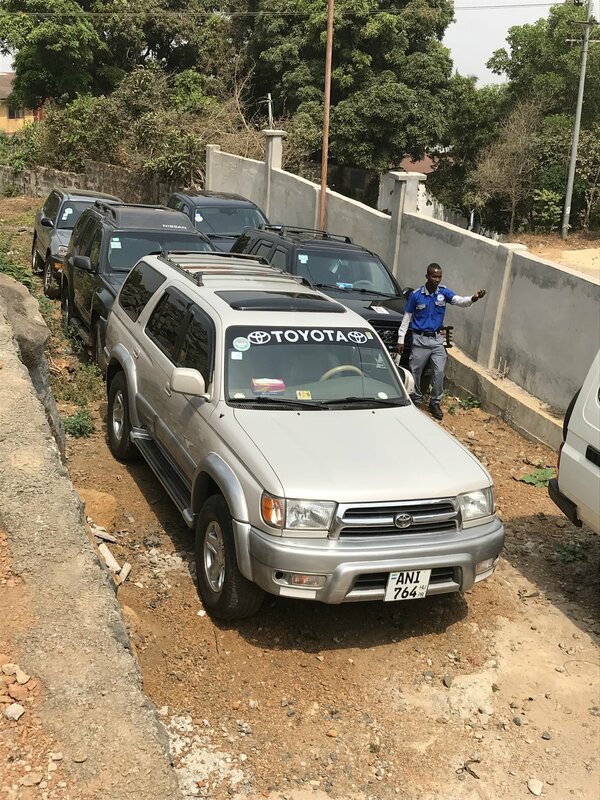 Parking is always an issue in Freetown. They packed us in close. My truck is at the very back. Those of you who know me know that this introvert heart was freaking out internally. I like to at all times have an escape route. Rev. Dr. Kim Cape, General Secretary of the General Board of Higher Education and Ministry. Bishop Rosemarie Wenner, former bishop of the Germany Annual Conference, after whom the School of Theology is named. Without the UM church in Germany this day would not have happened.